The Neon Tea Party loves to help brands tell stories about their products, services and mission through unique DIY content and live crafting experiences. As a content creator, tastemaker and message amplifier, The Neon Tea Party can help you access an untapped, captivated audience with content and in-person experiences that are unique, relevant and authentic. Work closely with TNTP to develop creative, colorful projects that reflect your brand’s message and inspire new and existing customers. The Neon Tea Party began as a DIY and lifestyle blog, so creating content is our jam. We love to help like-minded brands reach a new, highly engaged audience by offering sponsored content on our blog and social channels. 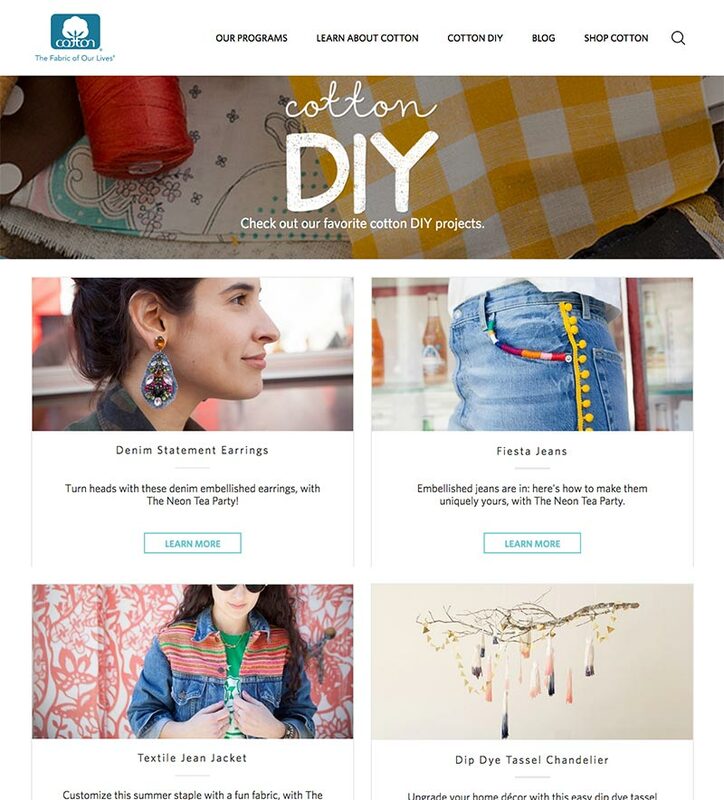 We also adore contributing to other blogs looking to offer some fresh DIY content to their readers. Our services include: project development, styling, photography and writing. Let TNTP help you highlight your products, services and brand message in a fun and engaging way! 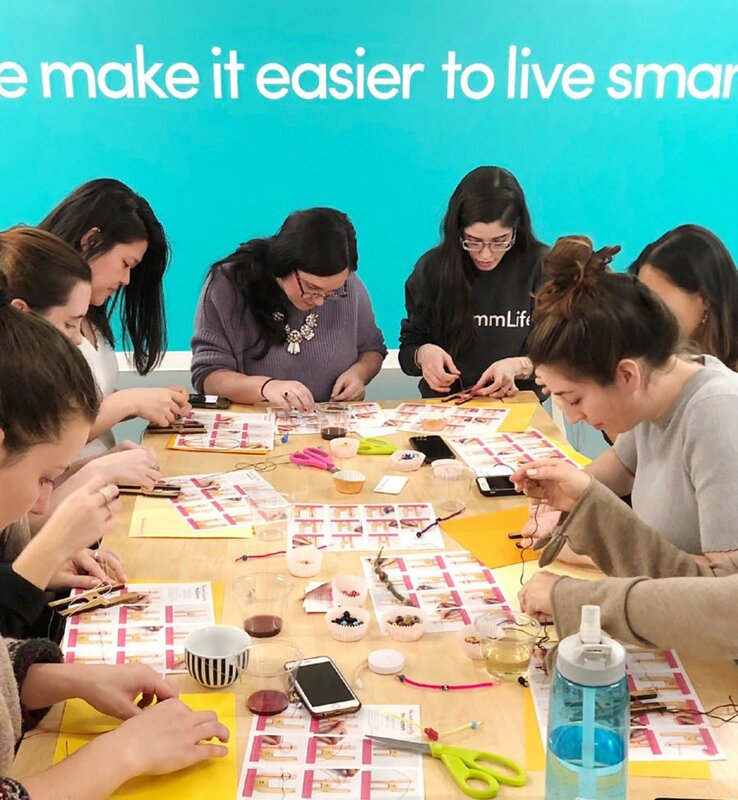 Let us bring the craft workshop to your office, press event, conference and more with live crafting experiences! Choose from a menu of colorful projects or work with us to create a completely customized craft. The Neon Tea Party is based in New York City and primarily services the Greater New York City area (New York State, New Jersey, Connecticut, Philadelphia), however we love to travel should you want to bring us to you! You can view our current project offerings here. "One of our top performing posts on Instagram this year"
Emily Cooper, Advertising Manager, Cotton Inc.
"Engaged in our brand and our joint mission"
"Our guests had so much fun!" "It was such a pleasure to have Marisa and The Neon Tea Party part of our client launch event for Dial 2-in-1 products. She was super attentive to detail and was such a great help during in the creative process giving unique style recommendations. Our guests had so much fun creating their own custom pearl earrings and loved that they walked away with something that was one of a kind! We will definitely be working with The Neon Tea Party again for upcoming events!"